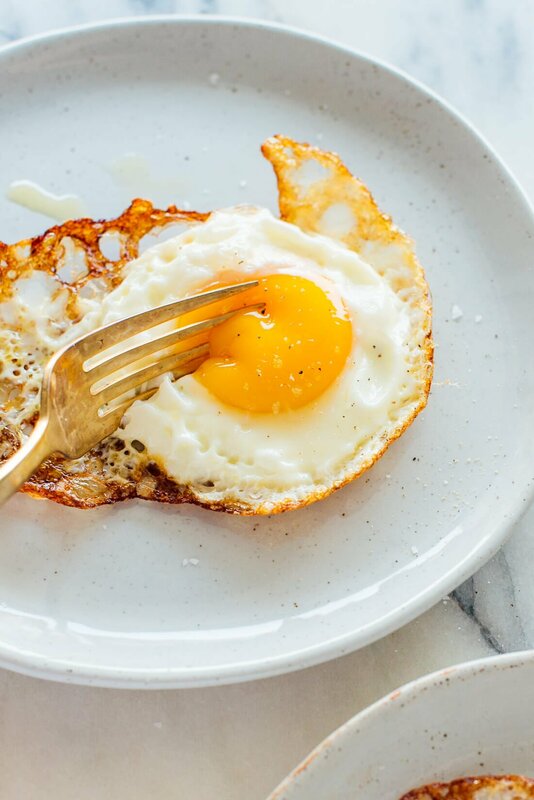 Meet my favorite fried egg: the crispy olive oil fried egg. 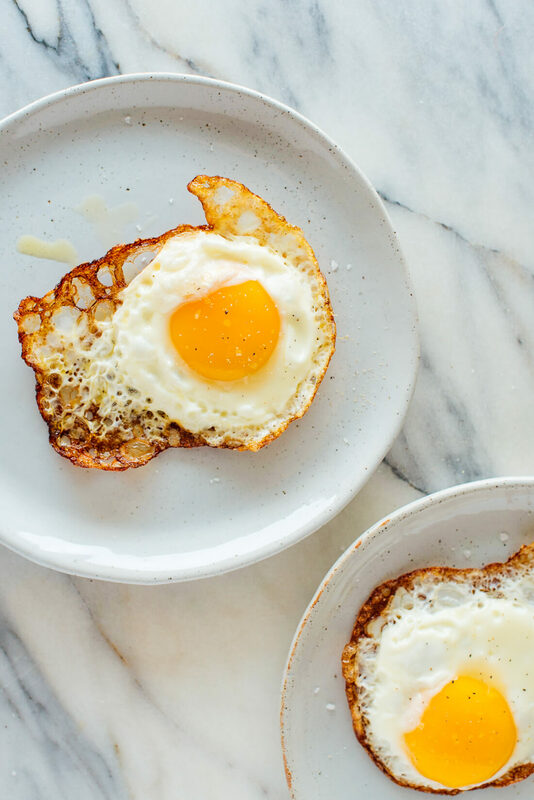 These fried eggs have golden, lacy, crispy edges, which contrast beautifully with their runny yellow yolks. Contrast is everything! Start with a good egg, a hot skillet, and a generous drizzle of olive oil, and you’ll end up with the most flavorful fried egg you’ve ever tasted. They are infinitely better than the rubbery, sulfurous eggs that come out of non-stick skillets. In fact, these are the only kind of fried eggs I ever want to eat. I learned this technique several years ago from Phoebe Lapine via her YouTube video on fried eggs. Thanks, Phoebe! I’ve been cooking eggs this way ever since. You’ve seen these crispy fried eggs on my recipes over the years, but I’m highlighting the technique today and offering all the tips and tricks I’ve learned. You’ll also get a look at my favorite recipes featuring these golden beauties. Start with a great egg. I like to buy local eggs, which have the most beautiful golden yellow yolks. Free-range organic eggs are great, too. You can cook one or two eggs at a time. I usually just cook one egg at a time in a small skillet because sometimes the two eggs cross paths and stick together! Use a cast iron skillet if you have one. Cast iron is non-toxic and retains heat well. If you warm up the pan as directed before adding the oil, it should offer a great non-stick cooking surface. I use my 8″ cast iron pan (affiliate link) for single eggs, or 12″ pan for two eggs. My next best bet would be stainless steel. I’m hesitant to suggest non-stick pans because high heat can damage the coatings and release toxic PFOA’s into the air. Crack the egg into a bowl first. You can more easily avoid oil splatters this way. I also find that pouring from a bowl yields a more evenly shaped fried egg that cooks a little more evenly. Make sure the oil is hot before you pour in the egg. This helps ensure that the egg doesn’t stick to the bottom of the pan, and yields super crispy edges. Be careful and watch out for hot oil splatters! This recipe is going to leave some tiny oil splatters on your stovetop. You’ll want to step away after you pour in the egg to avoid getting splattered yourself. A note on basting the egg white with oil: Most olive oil fried egg recipes suggest basting the egg white (not the yolk) with the hot olive oil while it cooks. You can do this by tilting the pan and scooping up some of the hot oil with a spoon. However, I can’t do this without burning my hand with oil splatters! My eggs turn out great without basting, so I didn’t include this in my recipe. If you want more firm yolks: For medium eggs, just cook the egg for 30 to 60 more seconds. If you want more firm yolks than that, you can cover the egg for 30 seconds or longer while it cooks. Repeat with additional eggs. You can continue frying eggs in the same skillet. Just add another drizzle of olive oil before each egg. You might need to dial down the heat as time goes on (if you catch the faintest whiff of smoke, it’s too hot). Season as desired. These fried eggs are basically perfect right out of the skillet, but I love to sprinkle them with a little flaky sea salt and freshly ground black pepper. Serve them with a knife and a fork to cut through their crispy undersides! Cooking 1 egg? Pull out a small skillet, preferably cast iron. Cooking 2 eggs? Use a medium-to-large skillet and use 2 tablespoons of olive oil. 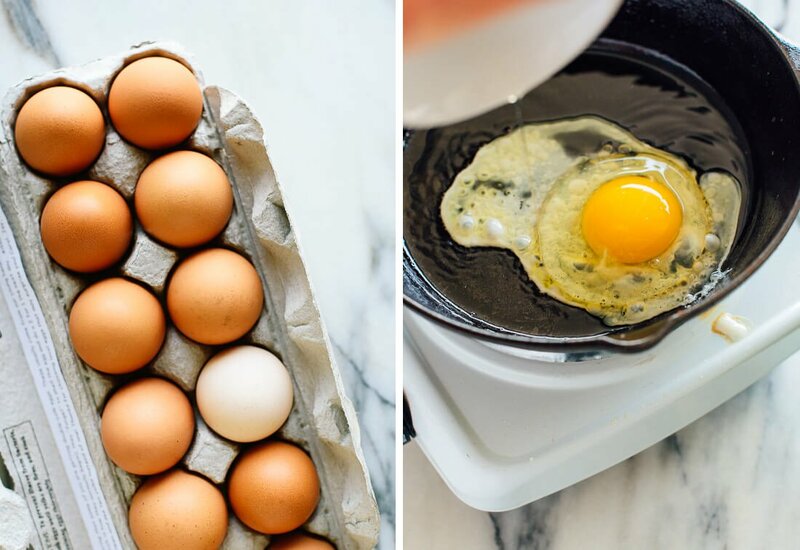 Crack an egg into a small bowl or ramekin and place it near the stove. Warm your skillet over medium-high heat until it’s hot enough that a drop of water sizzles rapidly on contact. Reduce the heat to medium and add the olive oil to the pan. Gently tilt the pan around so the olive oil covers the base of the pan. The olive oil should be so warm that it shimmers on the pan (if not, give it a little more time to warm up). 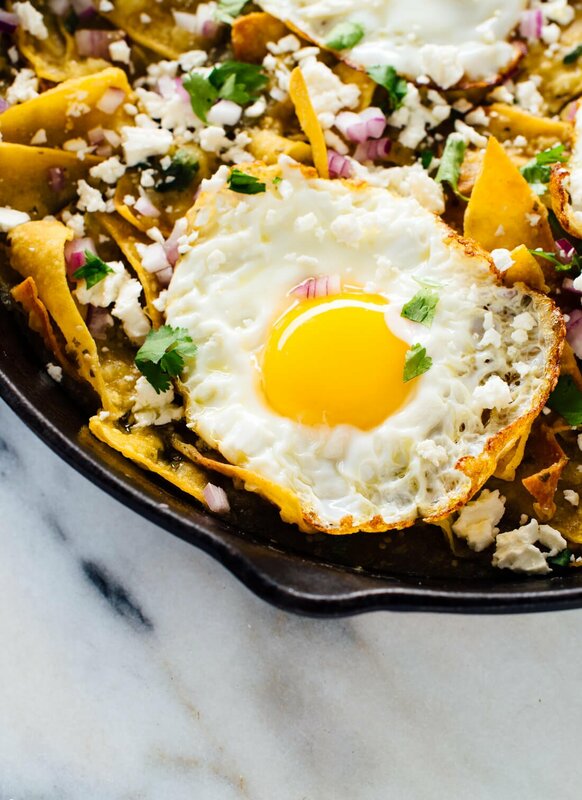 Carefully pour the egg into the skillet and watch out for hot oil splatters (if you’re planning to add another egg to the same pan, pour it onto the side so there’s room for another). Transfer the cooked egg(s) to a plate. 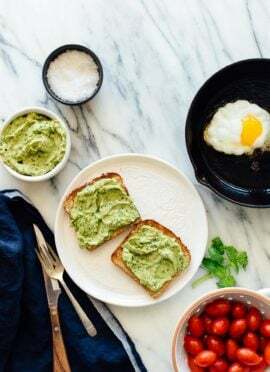 If you’d like to cook more eggs in the same skillet, add another drizzle of olive oil, leave the heat at medium (you might even need to dial it down a bit to avoid smoking) and add your next egg. Repeat as necessary. Seasoning suggestions: I love a sprinkle of flaky sea salt, freshly ground black pepper, and sometimes a splash of hot sauce. This recipe is available only in my cookbook, Love Real Food! If you haven’t tried it yet, you have really been missing out. One of my favorites, for sure! Please let me know how you like your fried eggs in the comments! I really love hearing from you, and I hope this technique becomes your new favorite. This technique works great in a heavy All-Clad fry pan also. Thought I’d try it before buying a cast iron skillet. The secret is in the preheating of the pan:-) And no, I don’t work for All-Clad haha. Thanks for sharing! I’m glad that pan works so well for you, Debra. Preheating is a key, I would agree! Yes, I am vegetarian. I’m glad you have a go-to egg recipe too! Of course, since I am vegetarian I prefer the taste olive oil provides. I appreciate you sharing, Marina! 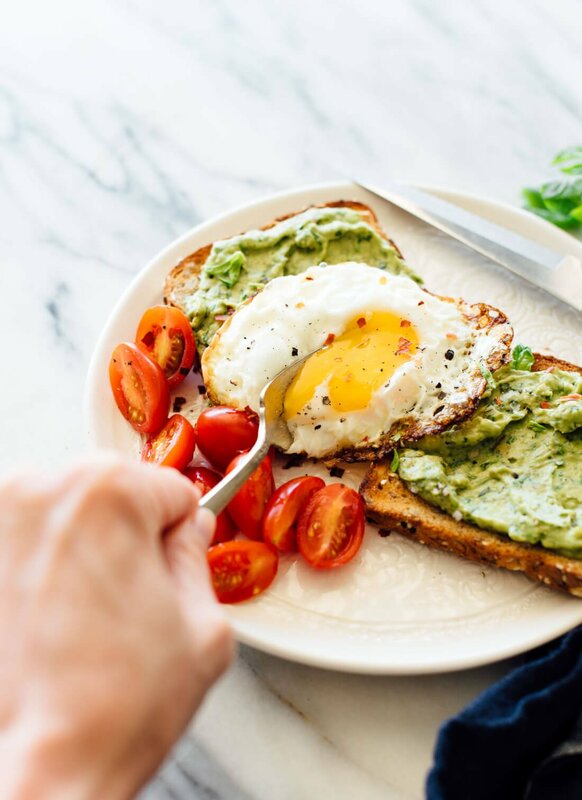 I have been loving eggs lately, so I will definitely be trying our your method. 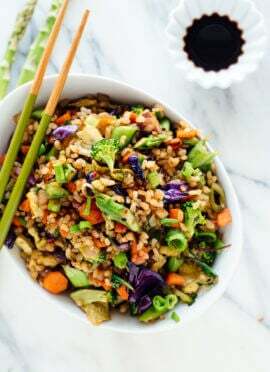 Quick question – There are so many people in the vegan/ vegetarian realm who say oil is so bad for you, what are your thoughts on oil for cooking/ dressings? I am so afraid of oil sometimes. Hi Caryn! Great question. My answer is it really depends on your dietary needs and the type of oil. The type of oil is important to be considered a healthier option. I prefer to stick with extra virgin olive oil, coconut oil and avocado oil (on occasion). There are several health benefits to good oils. Like being a healthy source for monounsaturated fat content, which supports heart health. Hope this helps some! 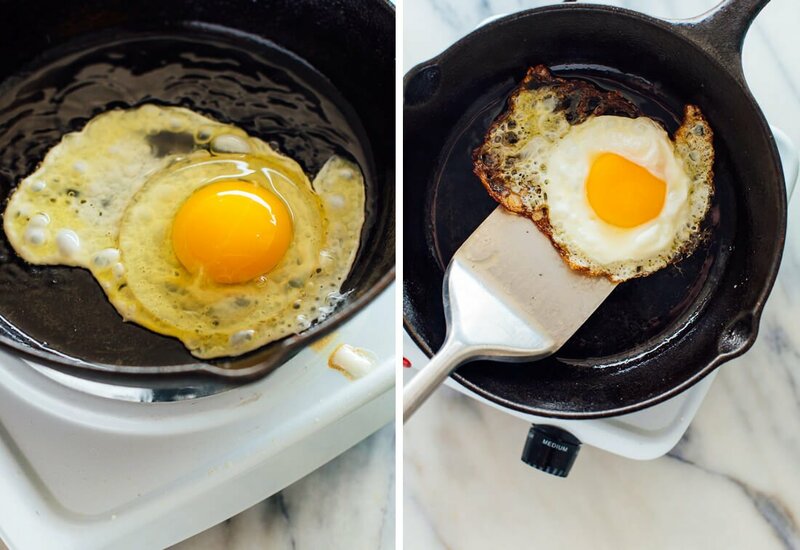 This is how I make a fried egg too – delicious every time! My ten year old son made your fried egg recipe this morning. 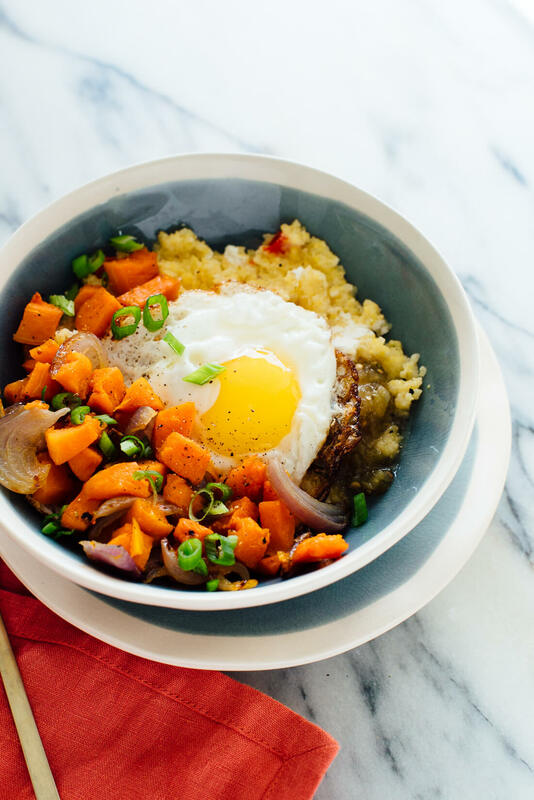 He’s a fried egg aficionado with a vegan mom so your recipe brought him hope that we might finally succeed with his breakfast. He LOVED it and declared that this will be his fried egg recipe from now on! Look at him! That’s awesome. I think it’s great your 10-year-old is cooking! Thanks for sharing, Randi. Great recipe. I love a good fried egg with a runny yolk. Thank you for sharing. You’re welcome, Bruce! Thanks for your review. 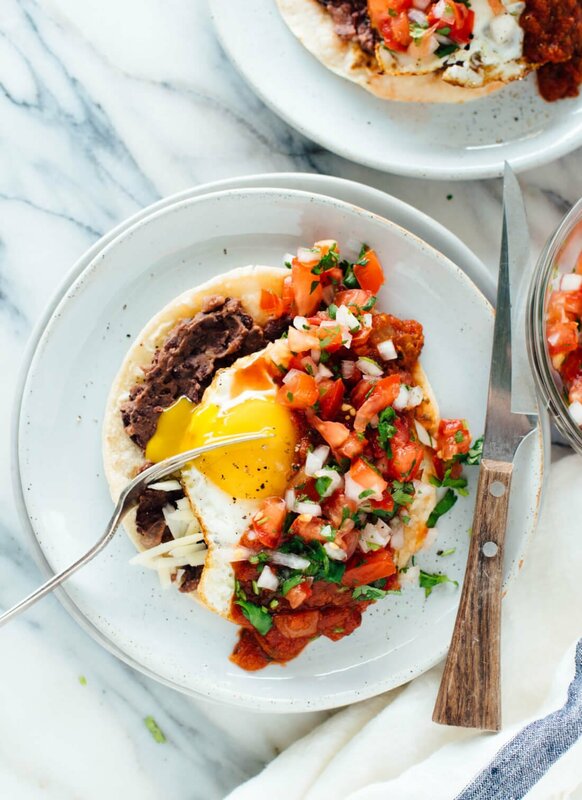 These eggs are brunch beauties!! This is kind of how my mom taught me to make fried eggs except she cooked them in browned butter and her skillet was a funky aluminum one. I now cook mine in my cast iron skillet that I bought as a young woman so they are well seasoned. And I also use butter but I will try olive oil sometime. Let me know what you think of the olive oil! I think you will be pleasantly surprised. Oh, boy, does this look great! I used your link and put the 12″ pan in my cart. How about cleaning it? Just rinse and scrub with a thingie? There’s the seasoning thing, too, which I’ve read is best done with coconut oil. I will learn. Thank you! Great to hear, Marge! Just clean with water and something to get any food remaining. So yes, a thingie. :) I actually don’t season mine regularly. I find it works just to wash and then dry completely. Be sure to report back on what you think of the pan and recipe! Amazing! 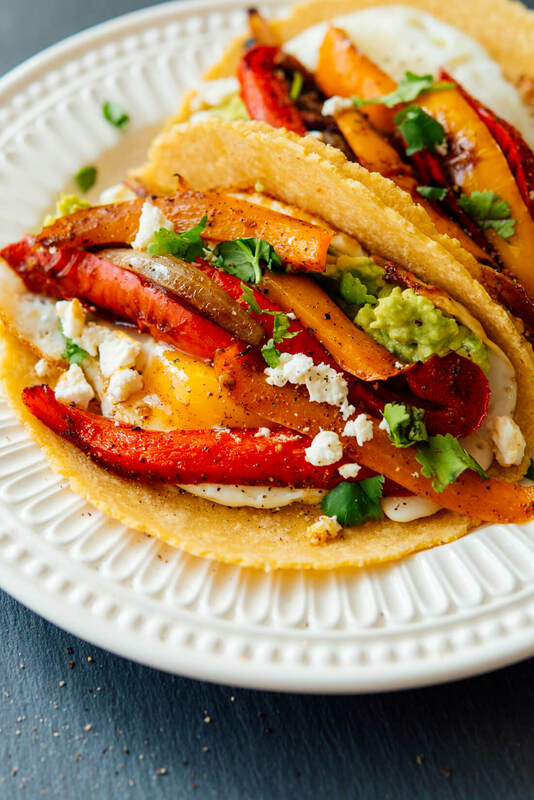 These fried eggs look amazing. Thank you for sharing this. There are so many ways of cooking eggs and this one is my favourite too, however, I don’t like it toasted and crispy. So I just lower the heat when cooking. That works well too, Alexa! Thanks for sharing. Right! The crunch adds some extra flavor. Thanks for try and sharing your experience, Beth! I have never fried an egg in olive oil before, but after trying this I don’t want to use anything else! It gave me the tastiest, crispiest egg white edge ever, I cleared it, which is amazing because I don’t like egg white, only the yolk. No more fried eggs just to eat the yolk! Love to hear that, Deb! Yes, it does make for great tasting eggs. Thanks for your review! Mmmm! This is so delicious! I’m eating it right now with toast. Time for another one. Thank you! You’re welcome Lisa! Thanks for your review. I love fried eggs, but I can’t bring myself to love the runny yolk! Which means I tend to overcook them to get it more solid. UGH I know – I’m a terrible foodie, LOL…. have you always liked the runny yolk? It’s all about preferences! You aren’t a terrible foodie. I do enjoy it! Not sure when it started. Thank You Kate. I simply love making my morning egg this way, so much better. I can’t wait to try some of the above recipes, they look so yummy. Great work !!! Let me know what you think when you try them, Carol-Ann! Hi Kate! 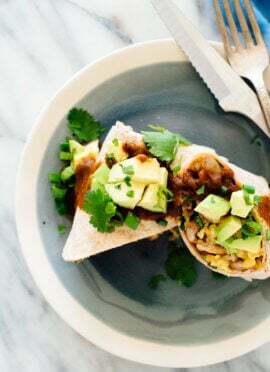 I absolutely love this “recipe” and these step by step type posts on “basics” that you’ve been doing recently. They’re so incredibly helpful to me. I now make a version of your frittata each week and tried this method for fried eggs last night and they turned out perfectly. Thank you! You’re welcome, Katie! I’m happy to hear that. Great photos. I got up from the computer and cooked two eggs. Right this minute. Oops…I spilled a little egg yolk on the space bar. I only wish I had some cherry tomatoes in the fridge. The pesto recipe looks to good to pass up. I’ve always flipped my eggs when frying them. No flipping in this recipe? I just made them for breakfast and fought the urge to flip them but ended up doing so anyway because they just seemed totally raw on top. They’re delicious but I’m wondering if you can explain how the top gets cooked at all without flipping. Thanks, Kate! Hi Dani! Great question. It really matters that you are using the right pan and that you get your pan hot enough to begin with. Check out my tips! Preference on firmness is also up to you. Cook a little longer if you don’t like a runny egg. Hope this helps! See step 5 as well for direction on time to cook. Hi! Recipe looks amazing, but I need help! Do your eggs ever bubble? When I make the switch from medium-high to high and drizzle the oil, I wait about 30 seconds to drop the egg. It sort of bubbles if the heat is too high, and if the heat is on medium, it doesn’t cook that well-just burns the edges. Btw-I’m using a regular pan, not a cast iron skillet. Interesting! What type of oil are you using? Is your stove gas or electric? The best, great! Thanks for your comment and review, Lydia. Your blog is delicious!! I absolutely love reading it. Thank you!